I am a Hypnotherapist, Life Coach and NLP Master Practitioner in Leeds. I use Hypnotherapy to assist you in making positive changes in your beliefs and behaviours so as to empower you to get the best results for yourself. I offer one to one sessions from consultation rooms based in the Leeds city centre and Pudsey. I also offer sessions in the centre of Ripon. 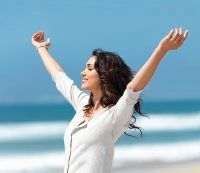 Hypnotherapy can assist you in making positive changes quickly and easily. Hypnotherapy can be used together with NLP as required. A minimum of two one to one sessions is recommended. I use questioning techniques to enable you to get more information about what positive changes you need to make in order to achieve the optimum results for yourself. To book a one to one session or for more information about how Hypnotherapy can assist you contact Danusia on 0113 2555049 or send me a message via my Contact Me.